MONTREAL (May 25, 2012) – Montreal Canadiens executive vice president and general manager, Marc Bergevin, announced today the appointment of Rick Dudley to the position of assistant general manager. The Canadiens also announced a contract extension for Larry Carrière to remain assistant general manager. Dudley brings more than 40 years of experience in professional hockey, including the last two decades as a senior executive with various NHL organizations. Before joining the Canadiens, Dudley worked extensively in various managerial capacities with the Toronto Maple Leafs, the Atlanta Thrashers, the Chicago Blackhawks, the Florida Panthers, the Tampa Bay Lightning and the Ottawa Senators. New assistant GM, Rick Dudley. “Rick Dudley is a very knowledgeable and proficient hockey executive and we are pleased to welcome him in our organization in the position of assistant general manager. Rick has been actively involved at the management level in the NHL for many years and is one of the league’s most respected executives. An outstanding talent evaluator, he has extensive experience as a scout. The success he enjoyed at all levels throughout his career speaks volume of his expertise. We are thrilled to have both Rick and Larry Carrière as assistant general managers for several seasons to come,” said Bergevin. Dudley, 63, held the title of Director, Player Personnel with the Toronto Maple Leafs in 2011-12. Prior to joining the Leafs, he was with the Atlanta Thrashers from 2009 to 2011, beginning as associate general manager before being promoted to general manager, holding that position until the franchise moved to Winnipeg. From 2004 to 2009, Dudley worked with the Chicago Blackhawks serving as the team’s assistant general manager for the last three seasons after starting off as hockey consultant. In Chicago, his work was conducive to the Hawks’ first Stanley Cup win in 48 years. Dudley previously served as the general manager of the Florida Panthers for two seasons from 2002 to 2004. From 1999 to 2002, he was the Tampa Bay Lightning’s general manager and played a significant role in building this team for the 2004 Stanley Cup win. Prior to joining the Lightning, he held the position of general manager of the Ottawa Senators in 1998-99, taking the team to the top of their division for the first time in franchise history. A Toronto native, Rick Dudley spent four highly successful seasons with the IHL Detroit Vipers taking the team to the Turner Cup in 1997. Throughout his career as general manager, he has been to the finals eight times in three different leagues (IHL, AHL, ECHL) and has won four championships. Prior to embarking on a managerial career, Dudley spent seven seasons as a player in the NHL with the Buffalo Sabres and Winnipeg Jets, where he was one of only three players in the NHL to wear number 99. He also played 270 games in the World Hockey Association where he also tallied two consecutive 40-goal seasons. 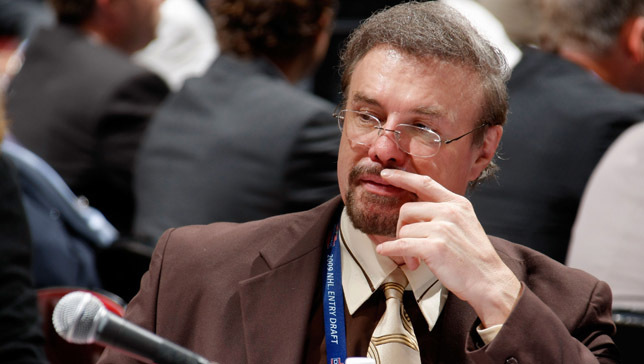 Larry Carrière joined the Canadiens organization as assistant general manager on July 16, 2010. He served as an assistant coach by interim for part of the 2011-12 season before returning to his duties of assistant general manager before the end of the regular season. Larry Carrière brings more than 30 years of experience in professional hockey and held several front office positions with the Buffalo Sabres and the Washington Capitals organizations.